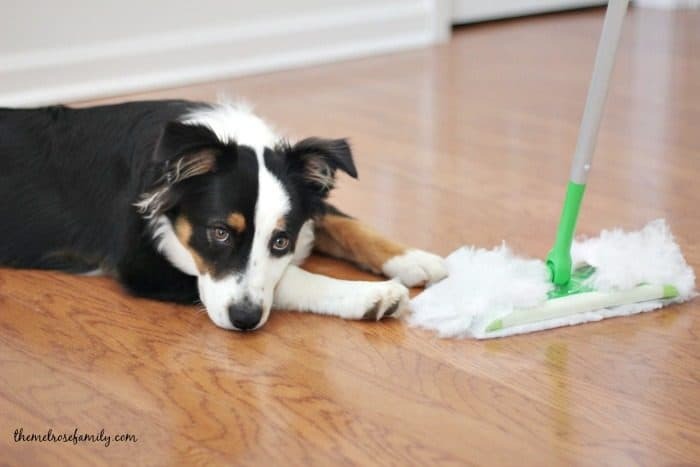 Need your house clean for company coming? Whether company is just dropping in or it’s a planned visit it can be a challenge to keep it dust free with a busy household. There’s no need to worry though. 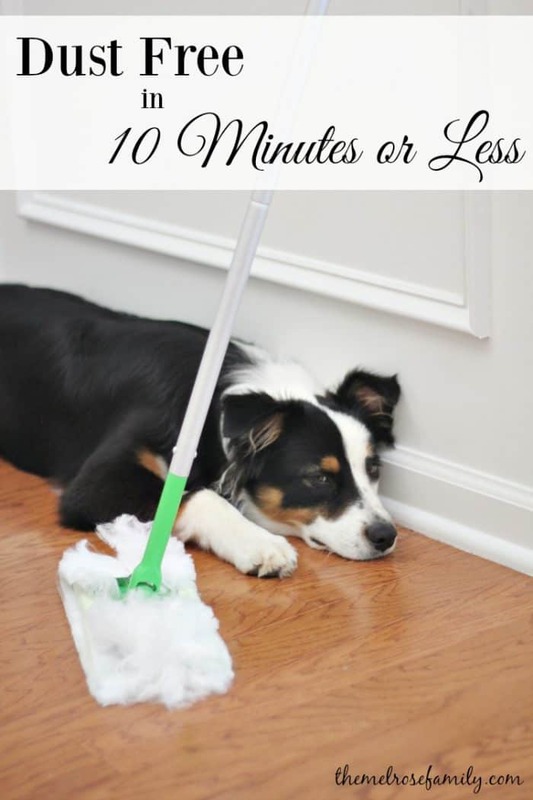 We’ll get it dust free in ten minutes or less even with kids and pets in the house! At this stage in our life, our house is busy. That’s probably an understatement. Both of our girls are busy with dance and gymnastics, which means they need to routinely practice throughout the house. From handstands to cartwheels to pirouettes, our girls are constantly moving. Plus, throw Charlie in the mix and we have a full blown wind storm in the middle of the house. If you’re like me, you want the house cleaned as quickly as possible. In order to get it done quicker, I give each of my girls a task to help out and move the cleaning along. Try to make it a small task that is manageable, but still something that they feel like they are helping out with. Plus, it makes one less thing for you to clean up. As cute as he might be, he can create a mess quickly. I quickly realized that I needed to come up with ways to make clean up easy. I actually find that keeping the house clutter free makes it so much easier to keep the house dust free. I don’t need to spend time picking things up and putting it where it belongs. Our girls know that they are expected to put their toys back in the playroom and off the floor when they’re done playing. When the floors are picked it up it makes it easier to fly through and dust. 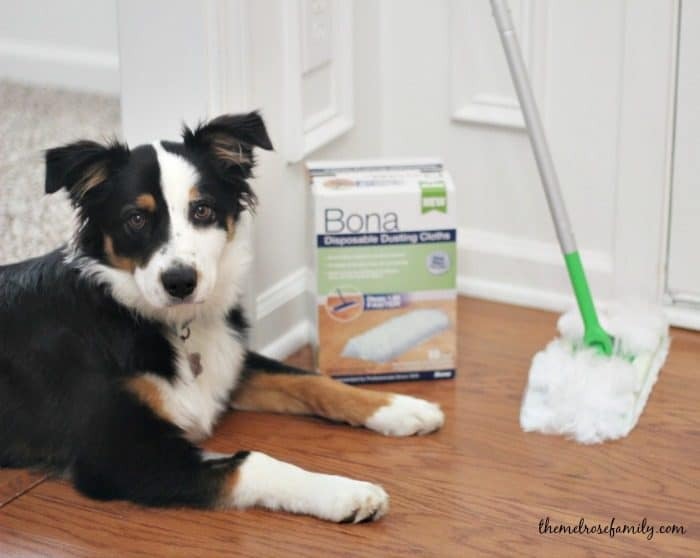 We rely on Bona Disposable Dusting Cloths to clean up the pet hair and dust on our hardwood floors. A quick run through the house and the entire house is spiffied up. No more pet hair or dust.